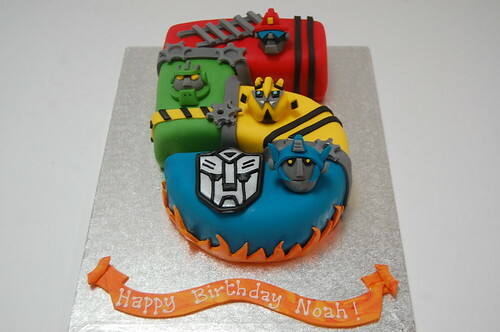 A bright and beautiful cake from the Transformers family! Other numbers available – please enquire! The Rescuebots Cake – from £90.